Nomi Joyrich owns Bead Works Inc in Franklin, Michigan. It is the oldest beaded jewelry store in the state. The store offers classes to all ranges of experiences (beginners, intermediates and experts) and is loaded with a staff with over 25 years of combined experience, who are experts in repairing, re-stringing, modernizing heirloom jewelry, wiring and knotting. 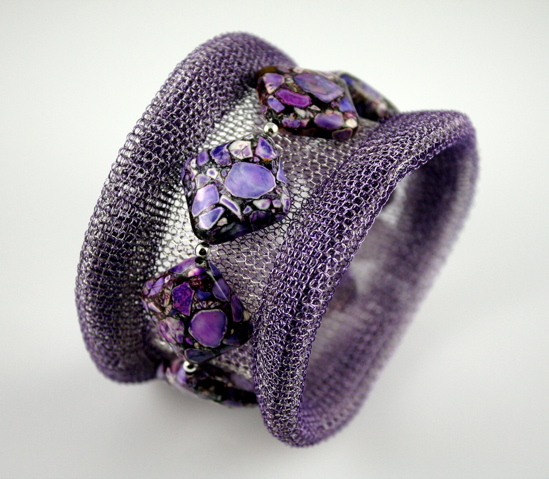 Bead Works also carries original works of beaded and patterned purses and vintage jewelry. I agree...Stunning... YOUR work is so beautiful! 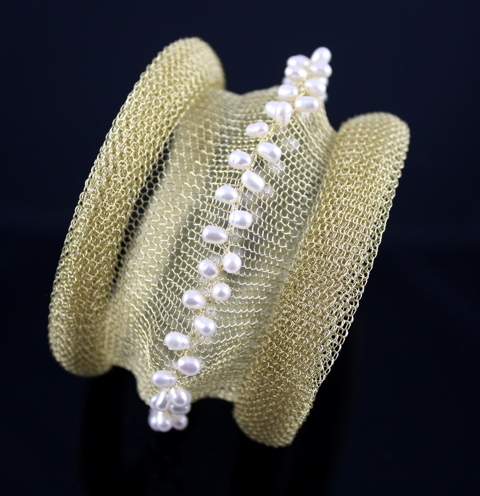 I've never seen bracelets made with wire mesh. How lovely and unique.